We are half way through the year and I’m sure annual reports are the last thing on your mind. But summer is actually a good time to start thinking about the framework and metrics that you want to include in your annual report. It’s also a good time to get report writing on your radar so that you aren’t scrambling at the last second to pull together a nice looking report. Remember, these reports are valuable communication pieces that can help you demonstrate, and therefore grow, your impact over time. They help you make a pitch to funders – Success breeds success. Measuring impact and sharing it back will help you gain traction with funders, both public and private, who will want to make sure that the recipients of their largess have a track record of success. They help potential new businesses see the opportunities in your district – An annual report can help communicate trends, pinpoint bright spots in the business environment, and highlight opportunities for new businesses based on the success of existing businesses. They also help communicate the value of the support services that your BID provides to small businesses, making your district an even more attractive place to be an entrepreneur. They give you a chance to publicly acknowledge your partners – Annual reports are great ways to acknowledge your board, volunteers, and any funders who have helped you along the way. Your supporters will appreciate the recognition – which is an important way to maintain their support over the long haul. They help support grant writing efforts – The exercise of pulling together data for your district and measuring impact through both quantitative and qualitative metrics will ensure that you have the right information when it comes time to pull together grant and funding applications. So if you don’t usually pull together annual reports for distribution, you might want to reconsider. 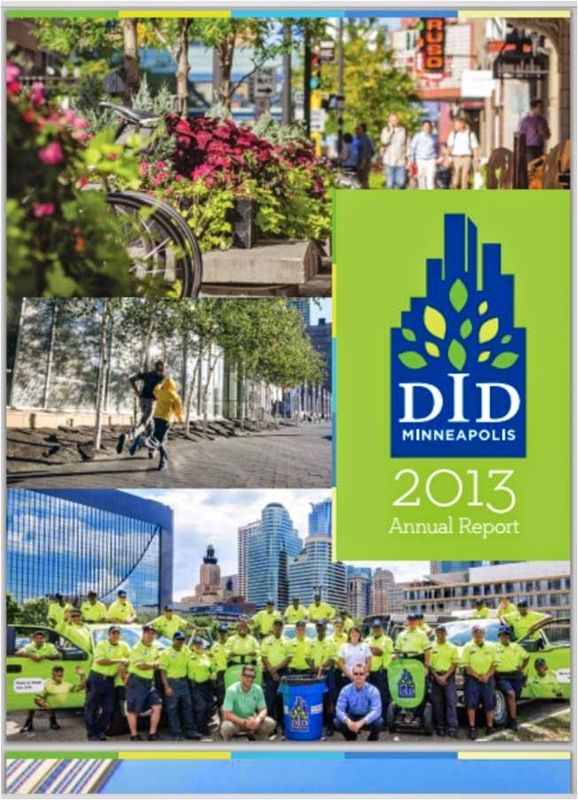 Here are a few BID annual reports that I like from both big and small organizations. I do tend to like nicely designed reports that include information graphics. These are communication and marketing pieces after all, and often well worth the extra investment.